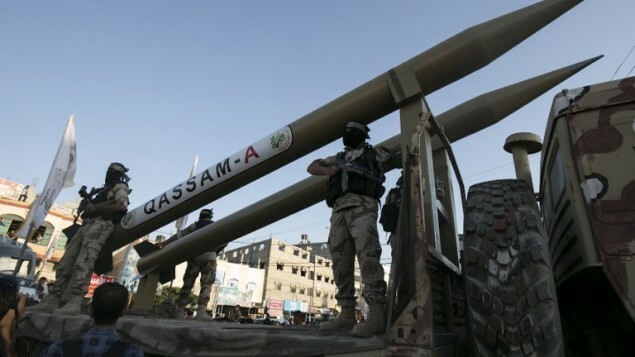 The Palestinian movement Hamas, ruling the Gaza Strip, Monday praised renewal of ties with Iran adding that it is ready for war with Israel thanks to Tehran’s military support. 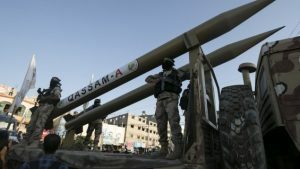 “The Iranian military support to Hamas and al-Qassam is strategic,” said Yahya Sinwar, the leader of the Palestinian group. Al-Qassam is the military wing of Hamas. Sinwar stressed that Hamas was building up its military capacity with the help of Iran to liberate Palestine. The Palestinian leader also noted that his group is ready for hostility with Israel, even though the Palestinian group does not seek war with its archenemy. “Every day we build missiles and continue military training,” he said, pointing out that the group’s operatives are working “day and night” to prepare for the next conflict. Sinwar said relations with Iran have become “fantastic and returned to the former era”. Ties between Hamas and Iran had always been good until 2011 after the Palestinian group refused to back Iran’s ally Syrian President Bashar al-Assad during the Syrian revolution. Things have improved since the group elected a new leadership earlier this year. A delegation of top Hamas officials visited Tehran early this month to attend the inauguration of President Hassan Rouhani for another term in office. During the visit, the delegation met with Iranian foreign minister Javad Zarif who reportedly vowed Tehran’s unwavering support to the fight for the liberation of Palestine. Other accounts say the delegation also discussed “common issues” with Iranian Revolutionary Guard, a paramilitary force, operating under the wing of the supreme leader Ayatollah Ali Khamenei.